While ASBA is celebrating the results of its own awards program, the STMA is likewise honoring its Field Of The Year winners. 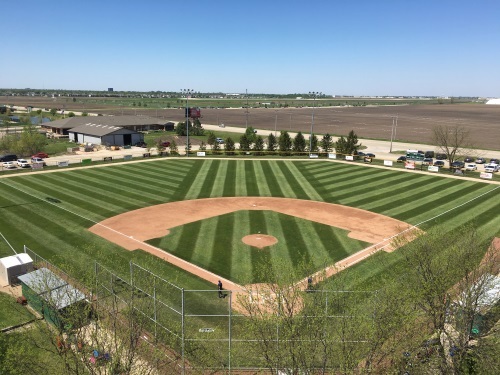 STMA presents the industry’s highest honors to members who manage baseball, football, soccer, softball and other sporting playing surfaces at the professional, collegiate, schools (K-12), and parks and recreation level. The 2017 winners are in a variety of sports, at different levels of play. And by the way, did any ASBA members design, build or contribute supplies to these facilities? We’d love to hear about it! A panel of 13 judges independently scored entries based on playability, appearance of surfaces, utilization of innovative solutions, effective use of budget and implementation of a comprehensive agronomic program. Judges may not award a field in each category. Winning fields will be featured in a 2018 issue of SportsTurf Magazine, the official monthly publication of STMA. Awards will be presented at the 29th annual STMA Conference & Exhibition in Fort Worth, Texas Jan. 16-19, 2018. This entry was posted in December and tagged ASBA, STMA. Bookmark the permalink.